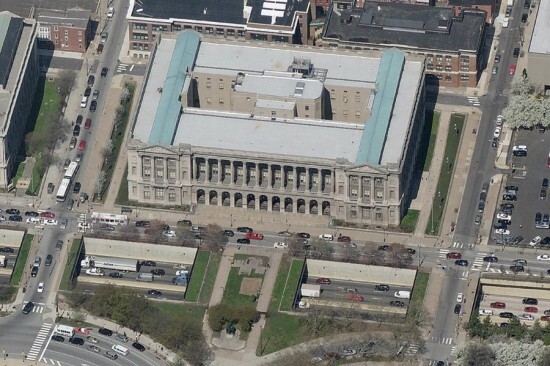 Three developers vie for the commission to convert Philadelphia’s 72-year-old Family Court Building into a new luxury hotel. After issuing a request for qualifications last October, the Philadelphia Industrial Development Corp. (PIDC) has selected three development teams from a pool of applicants, which include Fairmont Hotels & Resorts with Logan Square Holdings, Klimpton Hotels with P&A Associates and the Peebles Corp., and Starwood Hotel & Resorts with Dranoff Properties and HRI Properties. According to the Philadelphia Inquirer, the city will bring officials together from different departments, from planning to historic preservation, to oversee the review process and choose a proposal. The PIDC anticipates that an agreement will be reached with the winning developer by end of the year. A new hotel will be a coup for the area around the Benjamin Franklin Parkway, which has seen an influx of activity and changes in the last few years. The landmarked Chicago Athletic Association will soon be home to a boutique hotel designed by Roman and Williams, whose Ace Hotel in New York opened to acclaim in 2009. Developed by AJ Capital Partners and Commune Hotels & Resorts, the 240-room hotel will include a large ballroom converted from the existing gym and running track, as well as a large greenhouse on the roof. The historic second-floor drawing room will serve as a “living room for a new generation,” Roman and Williams said in a statement, while a new sports room/pool hall/bar will call back to the Athletic Association’s past. “Our reverence for this monumental building cannot be overstated, but we want to breathe a new life into it, to care for it without treating it like a relic,” the firm stated in a press release. 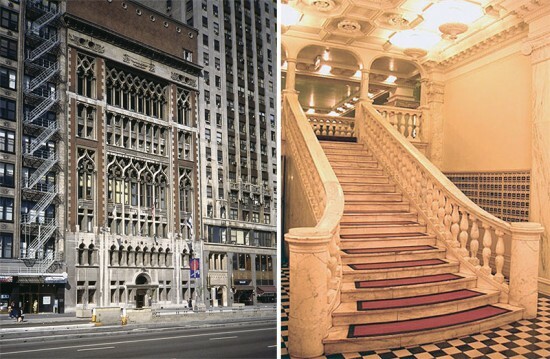 Located at 12 S. Michigan Ave., the Venetian Gothic building opened in 1893. Architect Henry Ives Cobb imbued the classy lakefront-facing club with a facade reminiscent of the Doges Palace in Venice. Ornate marble details flow throughout the interior. The project is expected to open in late 2014. A giant residential skyscraper is slated to join Manhattan’s skyline— rising more than 130 feet above its neighbor, the Woolworth Building. 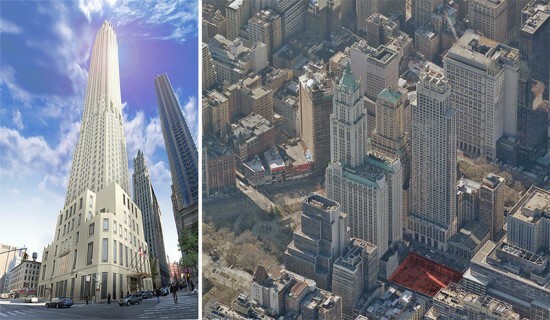 Developer Silverstein Properties announced today that $950 million in funding has been secured to move forward with the construction of the Robert A.M. Stern Architects-designed tower at 30 Park Place in Lower Manhattan. This massive building will climb up to 82-stories—making it the tallest residential tower in Downtown Manhattan according to a recent statement—and will include a 185-room Four Seasons hotel, 157 Four Seasons luxury residences, and a public plaza. 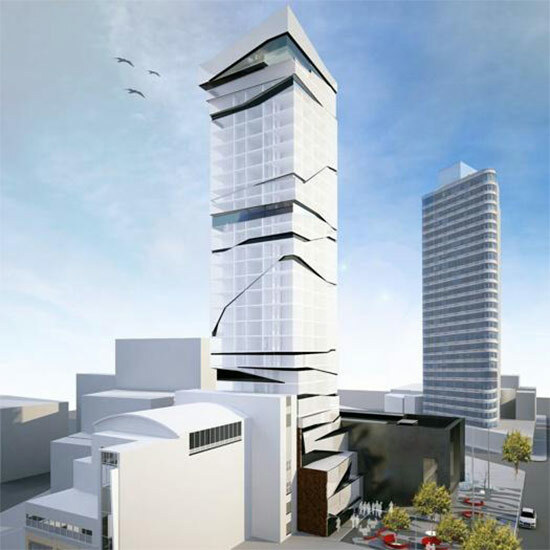 Yabu Pushelberg, the design firm behind a slew of W and Four Season Hotels, will design the interiors for this project. 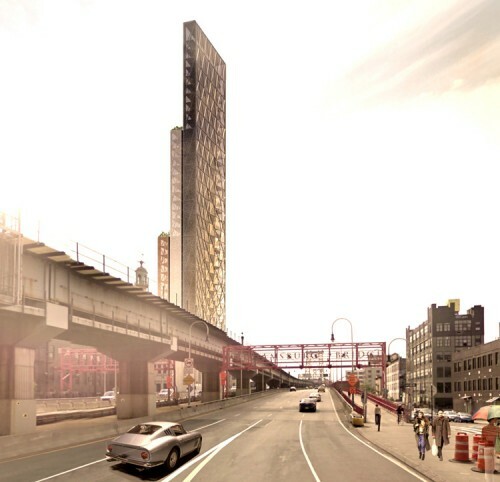 Silverstein Properties anticipates that the they will break ground by Fall 2013 and complete the 926-feet tower by 2016. OMA and Robert A.M. Stern are not the only starchitects zeroing in on Santa Monica. 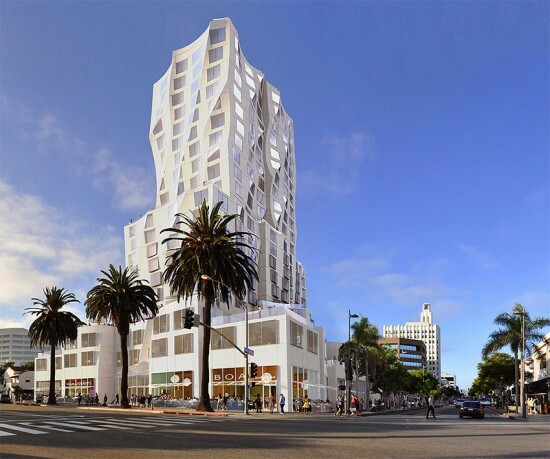 Frank Gehry is designing a 22-story, 244-foot-tall tower on a 1.9 acre site on the corner of Ocean Avenue and Santa Monica Boulevard. 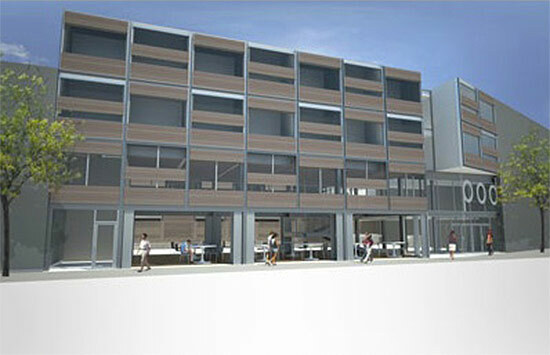 Plans for the project were submitted to the city yesterday, according to the Santa Monica Planning Department. The tower, located just a block from the beach and around the corner from the 3rd Street Promenade, would house a 125-room hotel, 22 condos, and two stories of retail and restaurants. A 36,000-square-foot art museum, incorporating two landmarked structures, would also be built just north of the tower. The $72 million scheme, known as the “Ocean Avenue Project,” is being developed by M. David Paul Associates and the Worthe Real Estate Group. Neither the architect nor the developer would comment on the project at this point, but according to the project web site, the development uses "urban planning principles consistent with the vision and principles of Santa Monica's Land Use and Circulation Element (LUCE) and the city staff recommendations for the Downtown Specific Plan." That includes a stepped-back design that reduces the bulk of the building, street level retail to activate the street, and the integration of public space and amenities—including a rooftop observation deck—into the design. According to the Santa Monica Daily Press, the "architects chose to go with a white material to play off of other prominent Santa Monica buildings, and attempted to marry an art deco feel with Gehry’s distinctive style." The project still needs to get city approval. The first community meetings are expected to be held in March. Right now the city is considering over 30 development applications, a sign that the economy is definitely back in a big way, and a precursor to several upcoming neighborhood battles. Single Room Occupancy hotels are a dying breed in Chicago. Notoriously undermanaged and generally unpopular among immediate neighbors, the majority of these base-service dwellings have been condemned or rehabbed into other residential uses over the past decade. 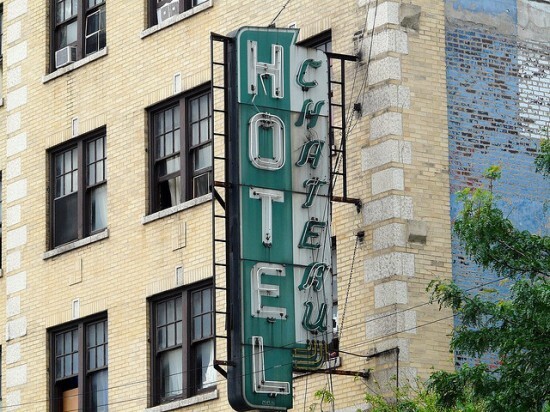 The fate of the Chateau Hotel, one of the last SRO hotels on Chicago’s North Side, looks to be leaning toward the latter. On Tuesday, city building inspectors met with an attorney for the Chateau’s new owners in housing court to address ongoing code violations present at the depression-era hotel, located at 3838 N Broadway Street in the city’s Lakeview neighborhood. Those violations—which number over 130 and include fire code, plumbing, and waste management abuses—were brought before the building’s former owner, Jack Gore, in October. Gore recently sold the hotel to a group of land trust investors represented as Arbas Investments LP, the stakeholders of which have yet to be publicly revealed. The partnership’s attorney, Mitchell Asher, said that his clients had the funding to bring the Chateau back up to code. This would likely include a full gut and rehab of the 138-bed building—a job that the 100 tenants currently residing at the hotel would not be around to see, he said. “It has to be vacated,” Asher said. For the dozen or so residents who attended the hearing, this was somewhat expected. In 2009, Gore handed the city another nearby SRO, the Diplomat Hotel, in light of similar building and fire code violations; that building is now being rehabbed into housing for people with mental illnesses. Last year, Gore sold his Abbot Hotel property to Jamie Purcell, a principal at BJB properties who is rumored to have a hand in the new ownership of the Chateau. Occupants at these hotels pay daily to monthly rates for rooms that include basic furnishings with shared or private bathrooms. Once an abundant source of housing in Chicago, SROs are a requisite option for some who can’t lease apartments because of background and credit issues and could otherwise be on the streets. Donna Crosier has lived at the Chateau for two-and-a-half years. She and her husband pay $575 a month for a room with a bathroom, but no fridge or stove. Crosier said she doesn’t mind eating out, but what gets to her is the lack of maintenance services in the building, namely rodent control. “That’s not fair, and it doesn’t help the building,” said Crosier. In the hallway of the Daley Center courtroom following the hearing, Alderman James Cappleman (46th) promised residents that his office would begin the supportive housing process ahead of eviction notices at the hotel, where, he said, the continuing code violations were the sign of “a broken system in Chicago.” “You’re living in market-rate housing, but you’re just living in market-rate housing that is so sub-standard,” said Cappleman. “It’s worse than I’ve even seen.” A hearing to discuss a compliance order at the Chateau has been scheduled for March 5. The Italian Renaissance Revival-style Hotel Bossert, once one of the swankiest hotels in Brooklyn, will soon be welcoming guests once again. 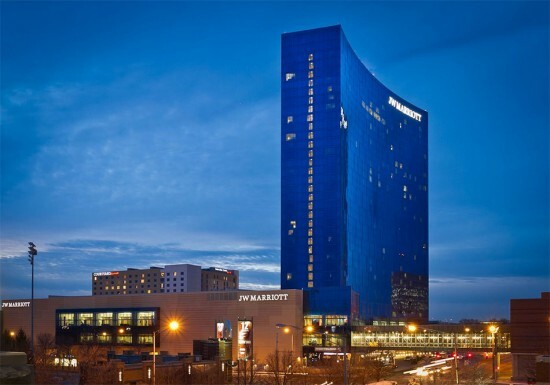 Two developers, David Bistricer and Joseph Chetrit of the Chetrit Group, bought the property from the Watchtower Society this past November for $81 million, and now have the go-ahead to turn the property back into a hotel. On Friday, the Board of Standards and Appeal granted the developers a variance to change the certificate of occupancy. According to Brownstoner, Gwathmey Siegel Kaufman + Associates Architects is the architect of record. But, we just heard that Selldorf Architects will lead the renovation of this 1909 building designed by Palmer & Hornbostel, which will involve preserving the facade, lobby, and reception area, updating the rooms with new design finishes and amenities, and reviving the Marine Roof back to a restaurant and lounge. If all goes well, the hotel will be up and running by this summer. Boutique hotel pioneer Ian Schrager plans to expand his newest hotel concept, Public, to New York with a new 25-story hotel and residential tower on Manhattan's Lower East Side. 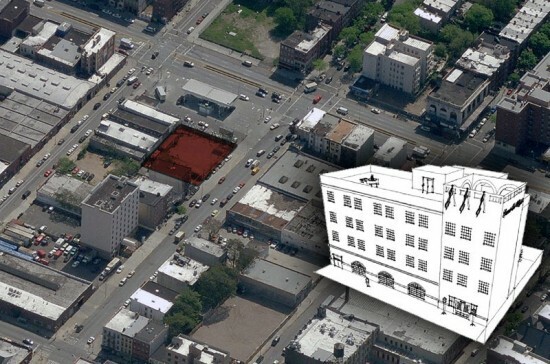 The Wall Street Journal reported today that Schrager and investors paid $50 million for the site at 215 Chrystie Street, once a garden for an adjacent low-income tower at 10 Stanton Street. The land was sold after tenants and the tower owner struck a deal to build a rooftop recreation area and extend affordability of the units. Schrager gained fame in the 1970s for operating the famous Studio 54 nightclub and has more recently developed the Gramercy Park Hotel and the Herzog & de Meuron-designed 40 Bond condo building, where he lives in the penthouse. The new Public hotel line launched its first outlet in Chicago at the old Ambassador East Hotel, and Schrager plans to open similar boutique hotels, billed as sophisticated and modern yet affordable, in major cities around the world. 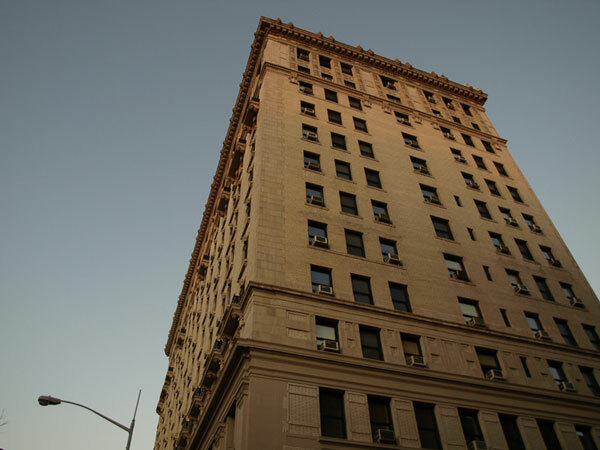 An earlier development plan for a Public hotel near Herald Square fell through. Plans are still emerging and no architect or construction timeline has been set, but papers filed with the city indicate that the first 17 floors of the 25-story tower will house the hotel with apartments above. The tower will stand higher than most surrounding buildings, but the neighborhood has been rising in height in past years with the completion of SANAA's New Museum on the next block, Arquitectonica's Avalon Bay residential building next door, and the Thompson LES hotel by Rawlings Architects a few blocks east among others. 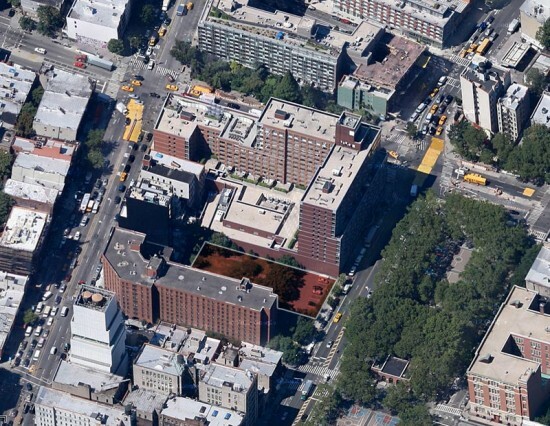 Despite the land deal, some neighbors aren't pleased with the proposed tower's height, most notably, the Norman Foster-designed Sperone Westwater Gallery, which claims shadows will obstruct light from entering its gallery space. The gallery has hired environmental lawyers to fight the project.